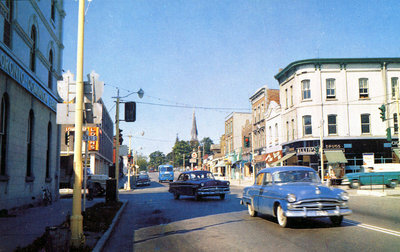 A colour photographic postcard of Dundas Street (Highway 2) in downtown Whitby. This is a view of Dundas Street looking west. Dundas Street looking West, 1962, L.F. Charter. Whitby Archives.